Update:Waah!, its even cheaper at Amiami, pre-ordering at Y4,030. Too bad they don't sell overseas. They do now!, check out Amiami's English language site. Update: HLJ has the VF-27 up for pre-order already! It will sell for Y5,225 if you pre-order it before Sept 18,2009 then it reverts back to its SRP of Y5500. 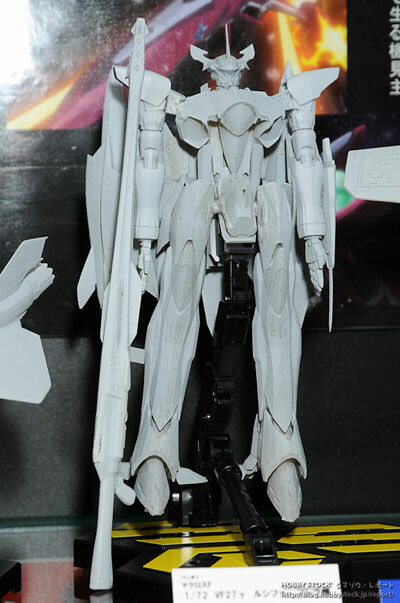 Update: Looks like the 1/72 VF-27 Lucifer could well be available by November of 2009 according to this. Over at the Hobbystock Blog saw this article on their coverage of the 2009 Shizuoka Hobby Show. 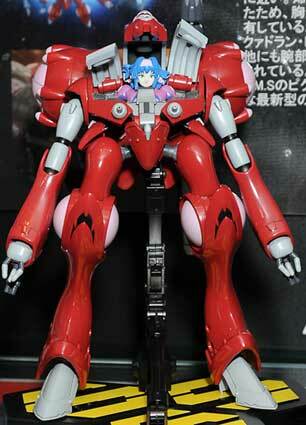 Its a 1/72 Scale Quadlun Rea used by Clan Clan in the Macross Frontier Series. Supposed to be released by Bandai in June but no price yet given. 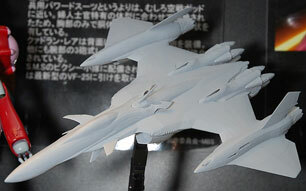 Also displayed by Bandai was a gray model of a VF-27 Lucifer used by Brera Stern in Macross Frontier. 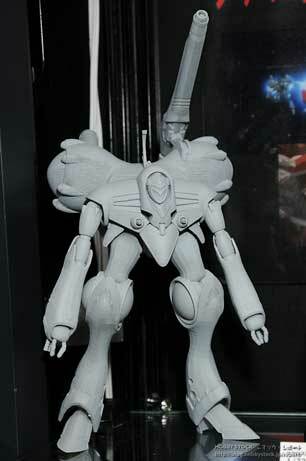 I'm guessing this will be way way way off since the model looks very rough.